My cousin, who's a makeup artist based in Canada, first introduced me to CARGO cosmetics and although I haven't tried much from the range, their Liquid Foundation is my go-to and I've finally been able to repurchase it in the UK via http://www.beautybay.com/. 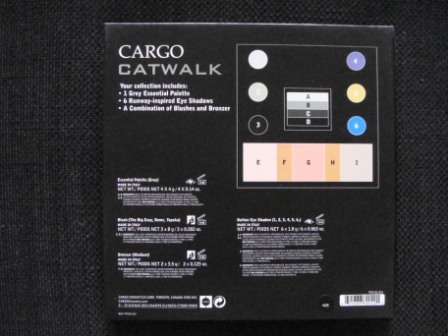 Given how much I love the foundation, you can imagine my excitement at being sent the CARGO Catwalk palette from http://www.beautybay.com/. I'd liked it on the site but it's even more beautiful in real life. The palette contains 1 Grey Essentials Palette, 6 Eyeshadows and a Combination of Blushers and Bronzer. 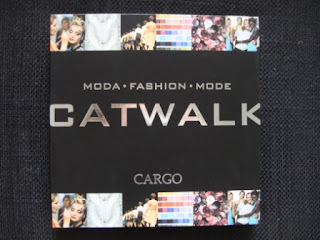 I absolutely adore the fashion inspired embossing, something which Revlon are also running with for Autumn Winter this year. It's almost a shame to use them! 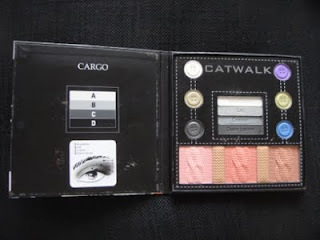 The Grey Essential palette in the centre, with embossed wording to describe how to use the shades, reminds me of the Hard Candy palettes which I used to covet desperately as a teenager. The colours haven't disappointed. 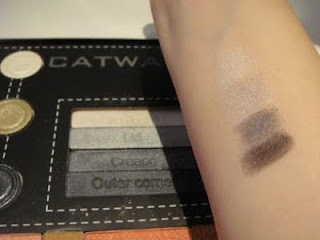 They're easy to blend and I can definitely see myself using this regularly for a smoky eye effect. I particularly like the "Crease" shade. 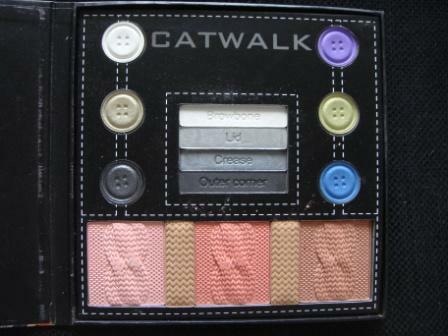 I like the range of blusher and bronzer colours which are very pretty. There's a range of wearable, natural shades with the palest even doubling as a subtle highlighter. I also think that I'd use all of the button eyeshadows, as there's a combination of smoky shades and brighter colours which I'm not afraid to experiment with on occasion. 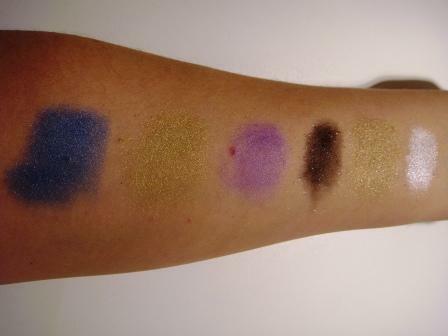 (From left to right) The blue is beautifully iridescent, the green is subtle enough to keep it wearable and I love wearing these type of purple shades against my brown eyes. The black has a very sparkly finish although as I'd have preferred this to be a little more opaque, I'd probably use this on top of one of my Urban Decay Black Palette eyeshadows. I like the gold shade which has subtle pink particles. 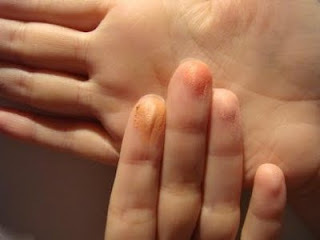 Finally, there's a bright white which will work well as a highlighter on the brow bone or tear duct. I really like that you can create such a range of looks with this palette. The pigments are strong and are easily comparable to other professional quality brands. I'm super impressed. 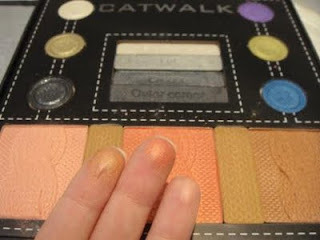 At £21.28 for the palette at http://www.beautybay.com/, I feel this represents excellent value. This looks so beautiful and that is very good value. 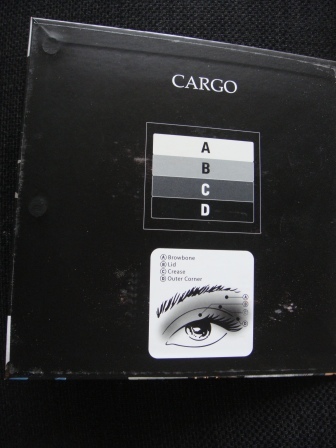 I like that it has a eyeshadows as well as blush. The packaging reminds me of frontcover cosmetics.